Dr. Bruff was born in Fayetteville, NC where his father served as a Lieutenant in the U.S. Army and his mother taught 2nd grade. Dr. Bruff decided to join the Army in 1969 and served 3 years during the Vietnam War. During his tour of duty he decided he wanted to become a dentist. He graduated from The Medical College of Virginia School of Dentistry with honors in 1984 and opened a practice that same year in Wilmington, NC, the birthplace of both his parents. He is an active member of the Tri-County Dental Society, the North Carolina Dental Society, the American Dental Society, and the Academy of General Dentistry. He has been a Boy Scout Leader for more than 10 years and enjoys fishing and Carolina Basketball when he is not working. Dr. Bruff has a special interest in implant restoration, as well as cosmetic and restorative dentistry. 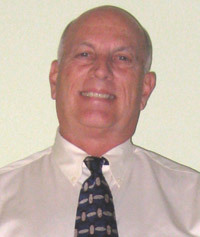 He is available for new patients, emergency appointments, and anyone seeking comprehensive dental care.